Who can argue with only five ingredients? 2. In a large bowl, combine the peanut butter, sugar, egg and baking soda until well combined. Stir in the peanuts. 3. Place dough by teaspoonfuls on a nonstick baking sheet and press down with a fork to form ridges. Bake for 12-14 minutes or until lightly browned. 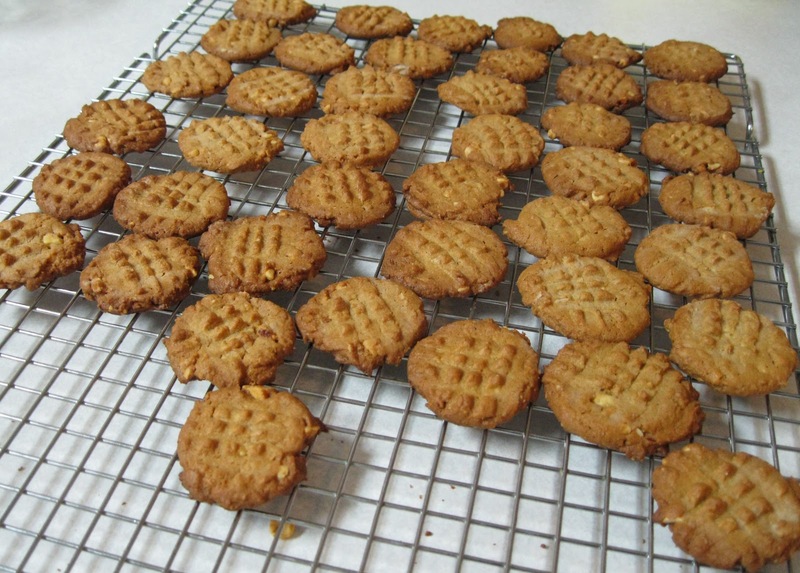 Because of using extra crunchy peanut butter, I omitted the 1/4 cup chopped peanuts. Lining the cookie sheets with parchment paper makes clean up quick & easy as well. The book recommends using a lightly floured fork to keep it from sticking to the cookie when making the ridges.